Every Mydo lure made is totally IGFA compliant. But the baitswimmer couta trace, when rigged with trebles, is not. Why do we rig with trebles? Popular demand. 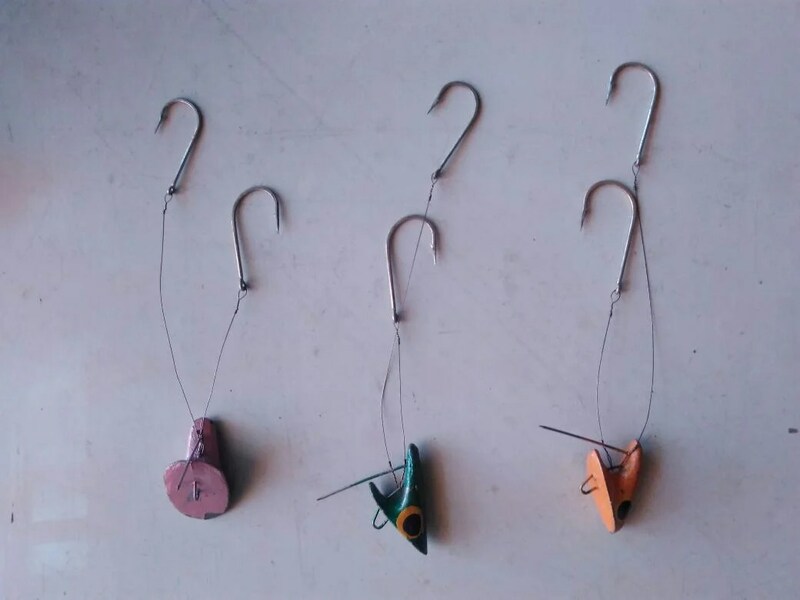 The treble hooks available nowadays are incredibly strong and sharp, compared to the old 2X’s that we used to get. And the fish are more scarce, making a hook up meaning so much more than it used to. Mydo anglers were never even introduced to IGFA, back when it all rolled into South Africa, in the 80’s. The main competitions never used IGFA rules either. It took a long time before IGFA rules were applied to money comps. Trebles were the standard issue for catching couta, and still are, with most anglers. But the rules have changed slowly and now many competitions on the circuit are IGFA now. This is great, as trebles are not really suited to releasing fish at all. Singles inflict far less damage. Captain Duarte Rato fishes single hooks wherever he can. But he still uses trebles for couta traces! Captain Len Mathews only fishes IGFA rules. This is how he rigs the Mydo Baitswimmer. Captain Len Mathews has been part of the Mydo team for a long time now. He catches great fish. And he only fishes IGFA. Two Kendall Rounds, rigged nice and light. This is the reason Len reckons, that he doesn’t lose fish. Len admits to a slightly more complicated hook up, but that when done right, snags his fish as many times as trebles would. But his use of singles means much more solid hookups. Meaning he can pull much harder. Which is great for the sailfish and marlin, who scrounge Lens’ well-presented couta baits often. And for pulling fish away from the taxman. According to Len – there are a bunch of good reasons to stay single! Captain Len Mathews about to release another billfish at Zavora, Southern Mozambique. Len only fishes IGFA using single hooks on his Mydos. A factor which helps in easy and quick releases for the many fish he catches.